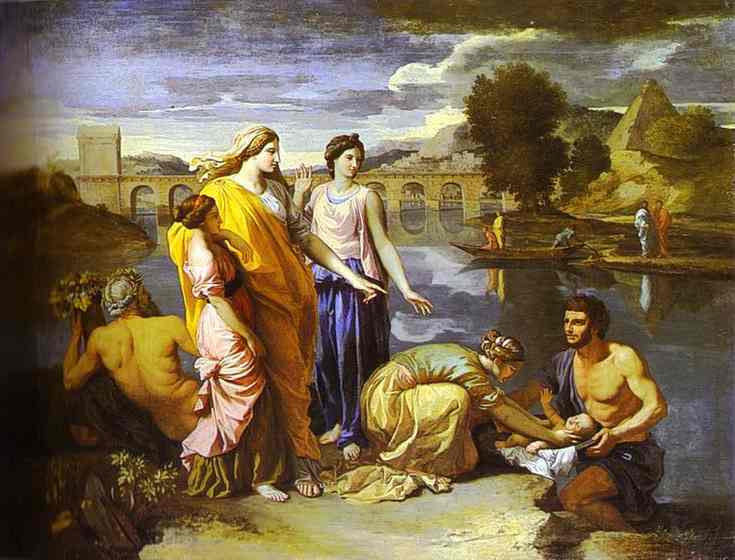 Was God Mad at Adam and Eve Because they Lack Self-Esteem to be before God’s Presence? Two weeks ago I responded to a troll in a post titled “Troll on Veritas Domain: Jesus didn’t have any requirements about belief in Himself?” Here in this post I want to tackle another point with the troll’s comment here. I’ve already responded to the first half of his comment over there but I thought I take on the second half as a blog post in hopes that the following response would illustrate the importance of contextually driven interpretation in refuting an erroneous interpretation. 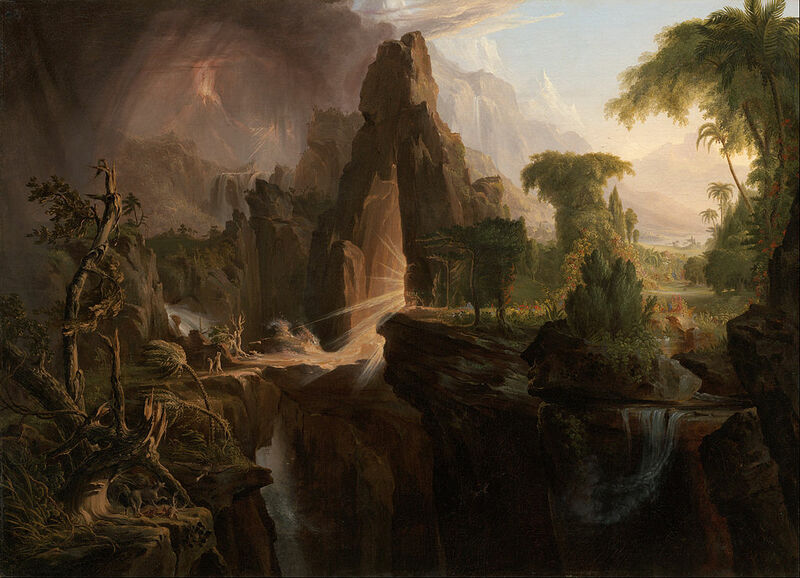 in fact, in the garden, why was god pissed? what was he angry with? what was his first comment? Nothing speaks more of the height of folly of the ungodly gospel of self-esteem than to see this troll reinterpret the reason why God was upset in Genesis 3. He thinks God was upset with Adam and Eve for thinking they were not worthy of being before His presence! Our troll rejects the traditional interpretation that the reason why God was upset with Adam and Eve is due to their disobedience in eating the prohibited fruit. But is our troll’s interpretation defensible from the text of Genesis 3 itself? Let’s take a closer look. On May 22-23, 2015, Hill Country Reformed Baptist Church hosted a “God Keep Our Land Apologetics Conference” in which they featured four Christian apologists and taught on Presuppositional Apologists. 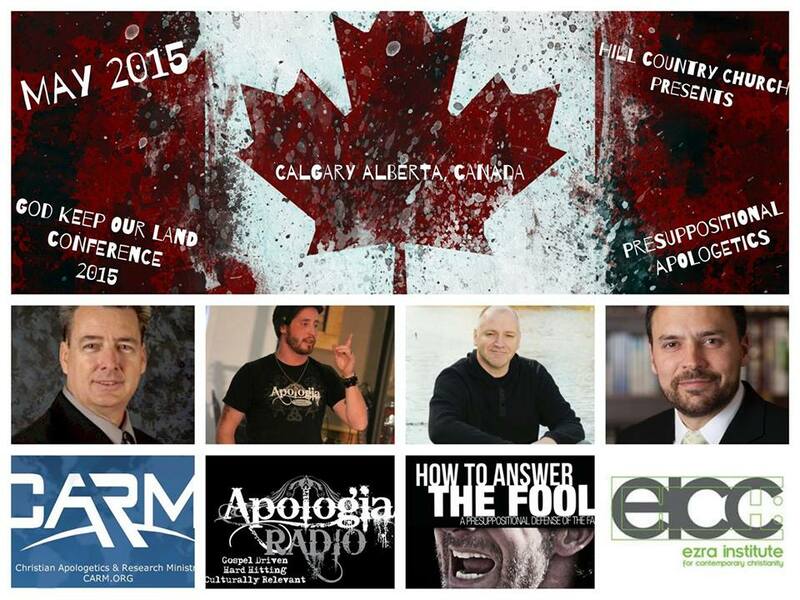 What I found exciting about this conference from other Presuppositional apologetics conference is that it took place in Canada! Sye Ten Bruggencate – creator of the film “How to Answer the Fool” and runs the website http://www.proofthatgodexists.org. He has debated atheists like Matt Dillahunty and appeared on many radio and internet radio programs defending the Christian faith. Sye lives near London, ON. Matt Slick – founder and president of Christian Apologetics and Research Ministry (CARM.org), author of the fiction novel The Influence and host of “Matt Slick Live,” an FM radio program in Boise, Idaho. Jeff Durbin – founder and host of Apologia Radio and Pastor of Apologia Church in Phoenix, AZ. Jeff has witnessed to and debated many from all walks of faith through his ministry. He is also active in preaching and witnessing to those entering abortion mills. R.C. Sproul. 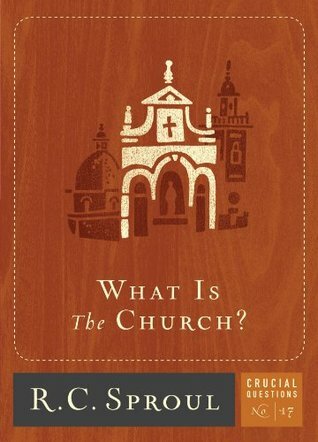 What is the Church? Sanford, FL: Reformation Trust Publishing, October 7th, 2013. 82 pp. I picked this book out to go over for a study for a small group since I wanted to review the basics of ecclesiology that was concise and Reformed. I was also hoping to glean from this book anything helpful as I was also preparing to preach for a retreat on the topic of the church. The author R.C Sproul is someone I esteem very highly and he is more than capable in writing on this topic. However I must admit that I was somewhat disappointed with this particular book even though I found his other works in his Crucial Question Series to be quite helpful. This short book has nine chapter in which some of them could have been made into one. For instance I felt the first two chapters could have been combined together. Some of the chapters were so short that I was surprised to find I was done with them even though I was just getting started! There were some chapters that didn’t have a single Bible verse in support of the discussion. Sproul has a chapter on the servants of the Lord and I wished he could have addressed the topic of serving in the church more practically. Upon further reflection after completing the book I think the book as a whole could have been more practical. Sproul did have a helpful discussion in his final chapter about the marks of a true church. I agree with Sproul that a true church must preach the Gospel but I had a harder time with Sproul’s position that an essential element of a true church include the fact that it must practice church discipline. Now don’t get me wrong I believe in the importance of the local church carrying out discipline but I do think it is possible that a church struggle to implement church disciple and still remain a church. In the end I would still say this book is still worth getting despite the drawbacks I’ve mentioned although I would also encourage people to read other works on the church alongside this book. Given how Sproul has made this book and others like it in the Crucial Question series free on Kindle, what’s holding you back? Our blog just hit 900,000 views! We want to take this time to thank all of you who read our blog, who comment and interact with us. We are especially thankful to those who have shared our posts and resources whether reblogging it, or letting others know about them on social media (Facebook, Twitter, etc). Looking forward to the future we will continue to share resources that we hope and pray would be helpful. Lord willing we plan to continue to proclaim and defend the Christian faith and tear down strongholds that lift itself above Christ. Our Sunday Bible Exposition Series on “God’s Loves for the Life of Babies” going through the first two chapters of Exodus has been completed. Here’s the table of contents to the four part series. 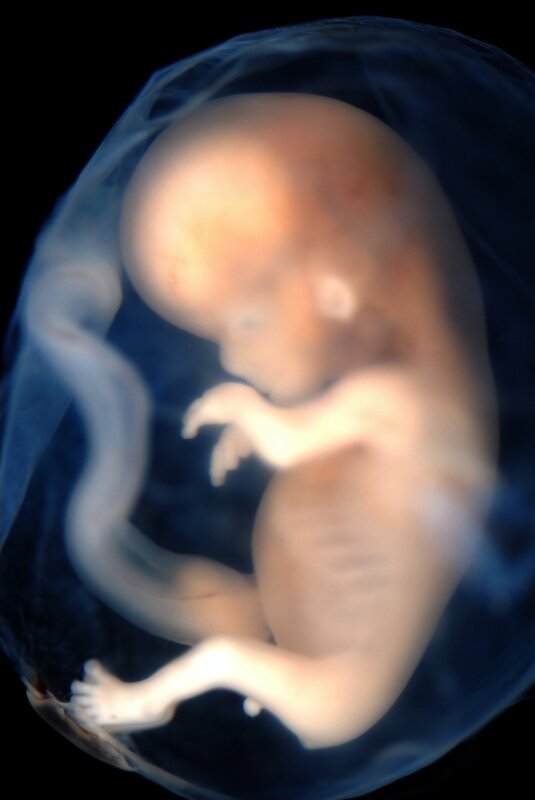 God’s Loves for the Life of Babies Part 1: Can we look to Exodus 1 and 2 as a Pro-Life Passage? May the Lord use this as devotionals that lead Christians to stand for the cause of life for the unborn. I am thankful to my Holy God, who would make such a creature as I to not only know him intimately, but to be used as a slave for His glory (Rom. 1:1). God is glorified when His attributes that are essential to understanding the Gospel is not ignored. He is not only a loving God, but is the God who sees sin as an abominable thing that He abhors. We made that known yesterday. His holiness, justice, and love was magnified. While I was preaching, one particular lady who professed to be a Christian openly lashed out on me with unwholesome words that any Christian would be ashamed of mentioning in the public, let alone in the secret. She acted worse than some unbelievers I know. She was openly pro-choice and demonstrated an attitude of apathy to the little defenseless children who are murdered. I hope that she will mourn over her sin against Christ. May His Spirit via the Gospel usher her into the kingdom of Christ. I love her and care for her soul. The more you know, the more responsible you will be before the Judge. Hebrews 10:29 states, “How much severer punishment do you think he will deserve who has trampled under foot the Son of God, and has regarded as unclean the blood of the covenant by which he was sanctified, and has insulted the Spirit of grace?” Yes, the grace of Christ was trampled when his holiness and justice was swept under the rug by a professing Christian that was unwilling to demonstrate humility and contrition. Yesterday was quite different from Tuesday. Instead of being in solitude, Pastor Luke and Russell accompanied me at the murder mill. Russell was holding some signs, passed out Gospel tracts, and pleaded with a few people to not go into PP for their services. Pastor Luke blessed us with a message from Psalm 139 that he preached at PP. The grace of God was seen that day. Two people left PP. Two people (both a male and a female) who walked into the doors of PP, later came out and expressed their dissatisfaction with PP. They agreed with our message. Praise God for peeling back the layer of evil for them to behold. Please pray that they will know Christ if they have not done so yet. Furthermore, I had the honor of preaching two major points that were stemmed from Matthew 22:42, “What do you think about the Christ, whose son is He?” They said to Him, “The son of David.” The two major points were conveyed indispensable necessity of the divinity and humanity of Christ because of the sinful condition of man. Next Tuesday, there will be a national Pink Out for Planned Parenthood. I suppose that there will be some pro-choice advocates at certain cities for their PP rally. Instead of wearing pink, they should be wearing red because the reality is that babies are murdered under the idoltary of convenience and the demonic doctrine of pro-choice that has led to slaughter of around 61 million innocent babies since 1973’s Roe v Wade ruling. Here is one sample video for your edification. I am a Christian, but…. Tim Chester. Delighting in the Trinity. Milwaukie, OR: The Good Book Company, November 1st, 2010. 192 pp. 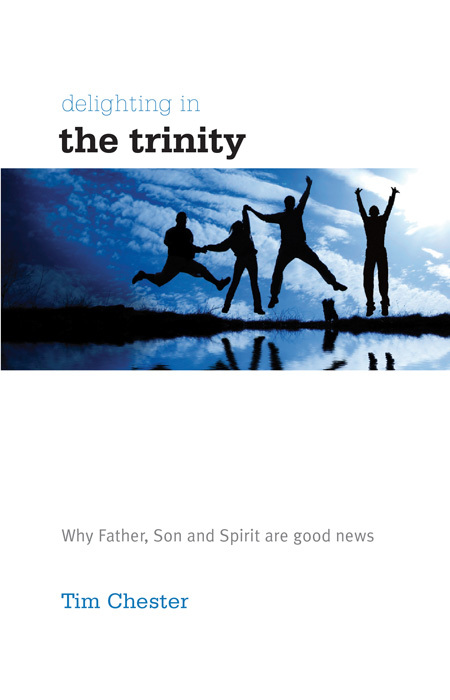 According to the back cover this book aims to show how the Trinity is “fantastically good news.” The book is divided into three parts with part one looking at the Biblical foundation for the Trinity, part two focuses on the historical developments of the Trinity throughout church history and part three concentrate on the practical implications. The part of the book that I most enjoyed was part one in which the author Tim Chester presented the Biblical proof for the Trinity. The part of the book that I, and most likely most readers will learn the most from is the historical theology section. Here in part two of the book Chester divided the church’s historical development into three parts which is roughly divided between the second through fourth century AD, the fifth through sixteenth century AD and finally the 17th through 20th century AD. I found Chester informative. However I do question Chester’s point that the 17th-20th Century has been about putting the Trinity at the margins and then again at the center of theology. I think seeing the Church as a whole, the doctrine of the Trinity has been at the center for much of the early part of Church history as a whole (just look at all the church councils and creeds). Chester is right that in Western Europe there was a marginalization of the Trinity due to the Enlightenment which had a tendency towards rationalism and Unitarianism. But I don’t know if we can say the Trinity was marginalized by the rest of the Church or elsewhere in the world. The part of the book that I was most looking forward to was the practical implications. It seems that there have been a recent revival among Evangelicals to study the Trinity and draw out its implication for the Christian life and faith. I thought that Chester could have been more explicit at times in this section of the book. That is, he could have been more explicit about how the Trinity applies to the Christian life; there were times in the book in which I wondered where was the Trinitarian implication. Maybe this is more a stylistic issue; for instance I felt the discussion about the Trinity and salvation spent a long time talking about different views of the atonement which is good and I agree with penal substitutionary atonement but he could have done a better job tying the Trinity into the subject matter. I felt the same criticism applies to his chapter on the Trinity and revelation. His strongest chapter in this section was on the Trinity and humanity. There is an excellent discussion of the problem of one and the many and society pitting the battle between the individual and society and how when we look at the Trinity we see the perfect pattern that has implication for the unity of the church and other spheres of humanity. Very good, I was surprised that Chester didn’t footnote anything here from Van Til or Rushdoony! Do read this book but also read other works on the Trinity as well.